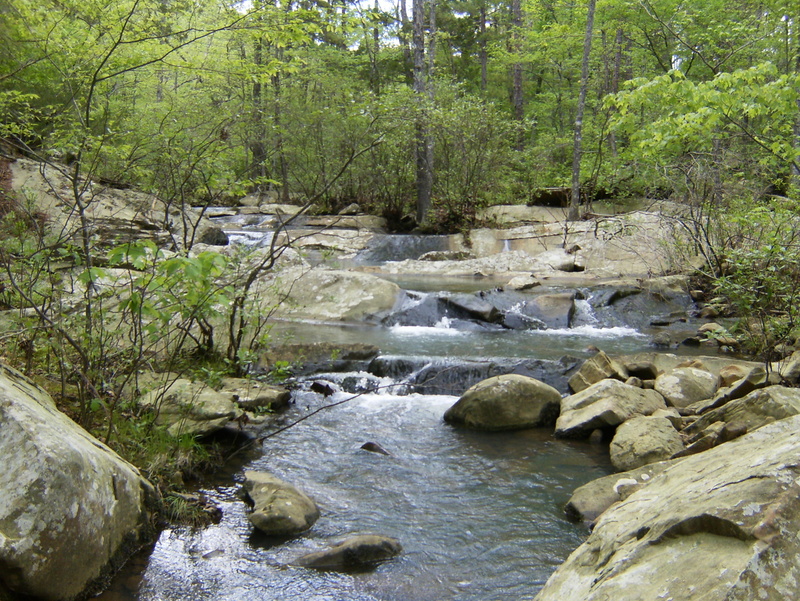 The Billy Creek Loop is a 9.9 mile loop on the south side of Winding Stair Mountain in the Oklahoma Ouachitas. There is access from the Billy Creek campground to the south and the Horse Thief Spring picnic area to the north. There is an east-west connector trail that divides it into a 6.7 mile upper loop and a 6 mile lower loop. The lower loop is open to ATVs, the east & west sides of the upper loop are hiker & horses only. 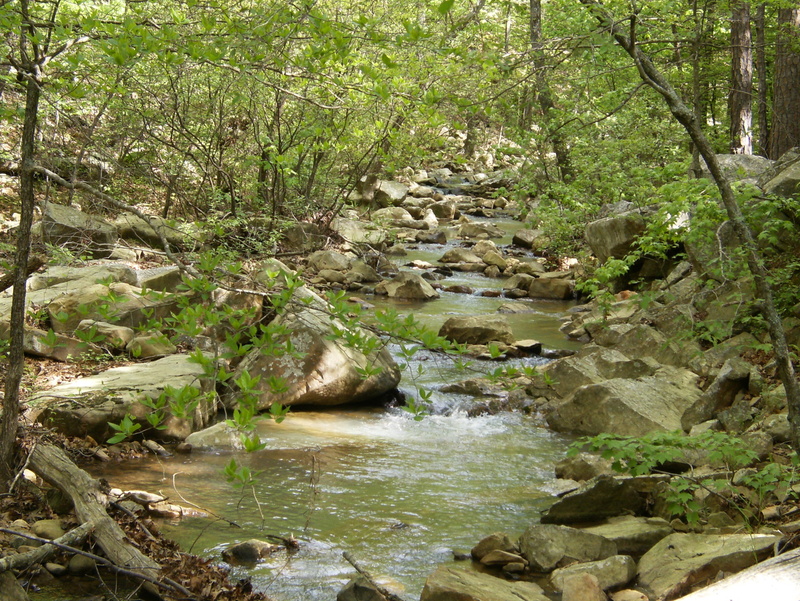 The north side of the loop is miles 19.9-22.4 of the Ouachita Trail. The Horse Thief Spring and Billy Creek loops share a junction near the Horse Thief Spring picnic area so you can combine them in a sort of figure 8 for even longer hikes or multi-day trips. 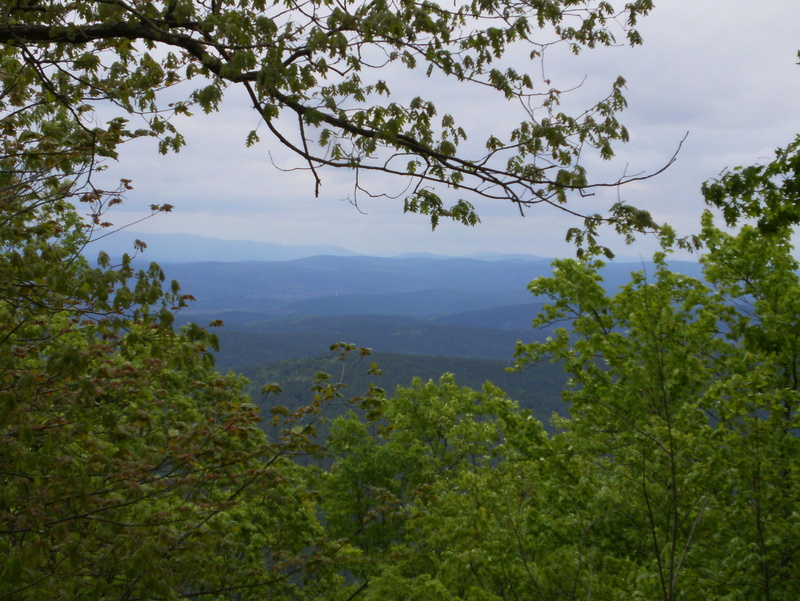 I began at the Horse Thief Spring picnic area and proceeded clockwise – east on the Ouachita Trail (with some nice views to the north) and then south across Talimena Drive on the eastern leg of the loop. This upper part of the loop is on the south slope of Winding Stair Mountain. 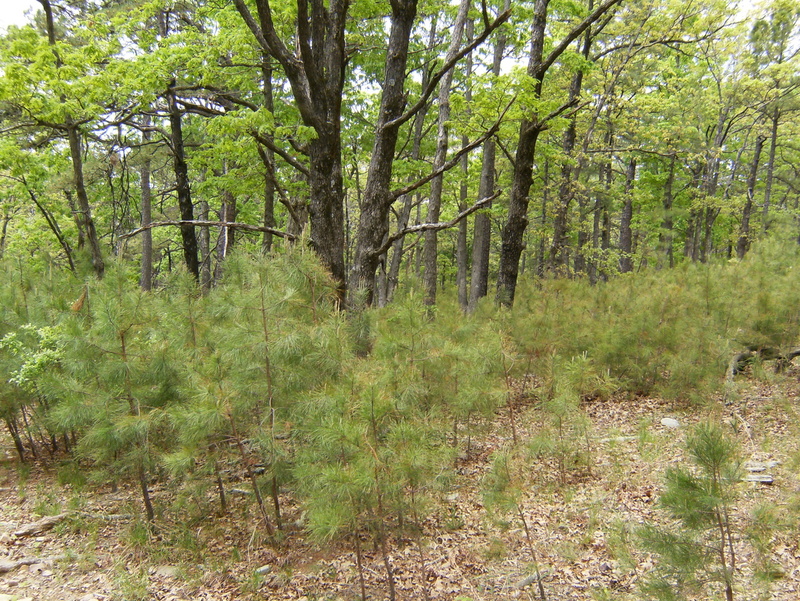 The forest is rather thin here – probably from past logging – and there is an explosion of growth in the understory. It would be tough to find a place to put a tent. This part of the trail appears to have been recently blazed but the turn blazes are backwards so beware. …then follows it for the next mile or so, crossing it several more times. After the last crossing the trail moves away from the creek, over a barrier, and onto road K27 for the final mile. This road is technically accessible by motor vehicle but is so remote it’s unlikely you’ll see any. Near the end of K27 is the junction with the west side of the loop. Continuing on K27 100 yards and then taking a left on FR6020b puts you in the Billy Creek Campground and near the trail head parking. The west leg of the trail climbs quickly about 100′ into a nice pine forest and parallels FR6020b, crossing it several times over 1.5 miles before leaving it to follow a creek upstream. This turns into another very scenic area just before the junction with the connector. How’s this for a nice place to eat lunch? From the junction with the connector the trail continues north 2 miles toward Horse Thief Spring, uphill all the way. A double bacon cheeseburger on the way home at Bud’s Country Junction was a fine way to end the day.